Students at Bowen Road Primary School will have a greater opportunity to develop their creative flair thanks to a recent pouring of funds into the State’s youth arts sector. Six Tasmanian organisations will share in more than $200 000 of funding to help engage young people to build on their creative skills. As part of the Hodgman Liberal Government’s Youth Arts Organisations Program, the funding will provide opportunities in theatre, writing and song-making under the guidance of professional practitioners. Participating in creative programs not only encourages our next generation of young artists to develop their skills, but also helps improve social skills, health and wellbeing. One organisation to benefit from the funding is The Story Island Project, which facilitates creative writing skills for young people. “We are thrilled to receive this funding for our 2019 storytelling project, Stories Sown, Stories Grown,” Co-founder, Kate Gross said. 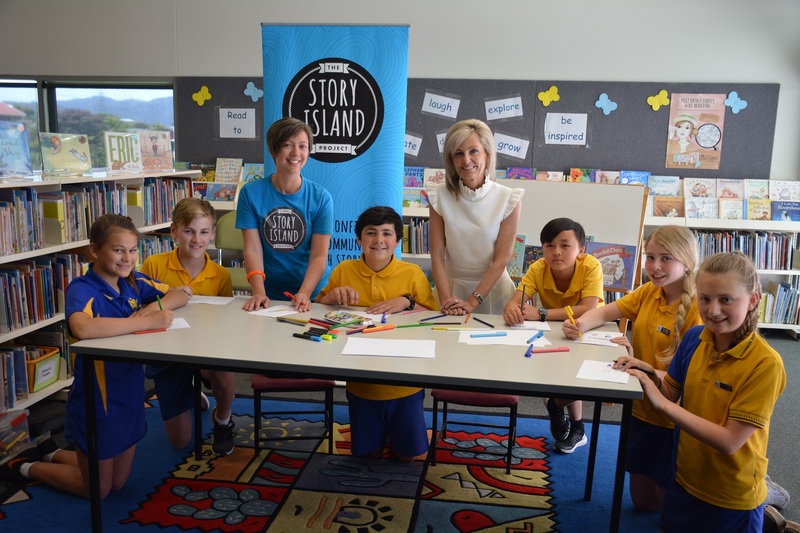 “The funding will allow us to develop, deliver and evaluate a tailored suite of creative storytelling workshops, in partnership with two schools in Hobart’s northern suburbs, Bowen Road Primary School and Moonah Primary School. The workshops will build young people’s creative skills and confidence, supporting their participation in authentic, ‘real world’ arts experiences,” Ms Gross added. The Story Island Project’s vision is for children and teenagers to harness the power of their imaginations so they can grow to be resilient and creative shapers of their own lives. “We’ve done some work with both of these schools before, and are really looking forward to working with students and staff at each of the schools in a longer-term project that nurtures young people’s creativity and writing skills,” Ms Gross said. “Not only does this new funding give us the capacity to do these fun, creative workshops with young people in Hobart’s northern suburbs – inspiring young people to see arts participation as a valuable community activity – the funding also allows us to develop our capacity as an organisation, developing evidence-based workshops that we can take to other schools and communities in the future. We’re so grateful for the opportunity, and we can’t wait to get started!” Ms Gross concluded. Subscribe to the newsletter to receive updates via email.